Just as many of his songs can be pretty obtuse (but rewarding) to grasp, so too was this one of the harder reads in this genre – at least for me. Usually these books are like eating fast food – basic, quick and salty with some queasiness at the end. This book was much harder to ingest since Webb’s writing demands a careful read so as not to miss the meaning of each phrase. He, also, jumps back and forth between years throughout the book requiring a certain amount of compartmentalized recall. Frankly I wish he just would have spent more time explaining the genesis and meaning for each of his more famous songs (like “Wichita Lineman”) though you do at least come to figure out much on your own if you pay attention to his asides. As a songwriter, “MacArthur Park” is his most famous output and was open to so many interpretations back when it was “melting in the dark”. That this song isn’t an entire chapter (or 2) is a pity, but no more so than a lack of any apparent interaction with his biggest interpreter – Glen Campbell. It would have been nice to know more about the 5th Dimension than “Up Up & Away” – I loved “Carpet Man” and “Paper Cup” yet they don’t deserve even a mention. What is mentioned WAY too much is his cocaine use and desire for various married women. That the book doesn’t go beyond his mid-70s Harry Nilsson/John Lennon cocaine bingeathons is a pity as it would have been nice to read about his C&W #1 with The Highwaymen or his recent Kanye West charter. The time after both Buddy Holly died and Elvis Presley got tamed by the army, radio seemed to be dominated by hoagie eating teen idols from Philadelphia. Robert Ridarelli was one of the most successful, charting 26 singles from ’59 to late ’63 when the fab four took over the airwaves and drove his last four chart “hits” to the lower rungs of the hot 100. 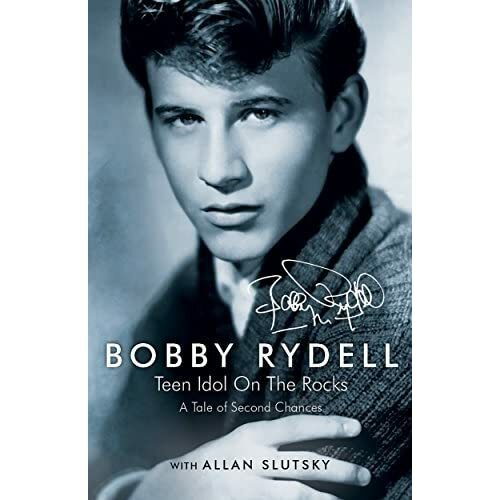 This is a simple read and is shows his obvious lack of rock and roll cred and adesire to be a “real” entertainer like a Sinatra. That he had little to do with the creation of his hits other than singing what the folks at Cameo records presented him means that he has very little to say about the genesis of each record. This book is mainly about his time as a performer, his complicated relationship with his mom and his drinking issues which resulted in kidney/liver transplants. He does talk about Frankie Avalon and Fabian plus his time with Ann-Margret in “Bye Bye Birdie”, but curiously absent is any real interaction with other stars of the time like Chubby Checker who he even charted a duet with. 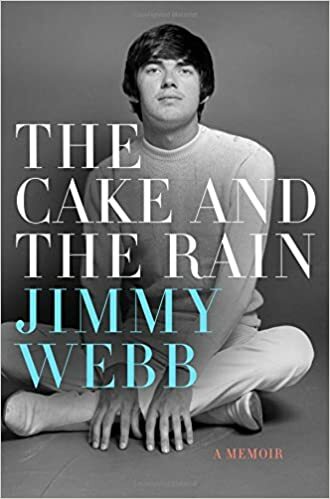 It was with some trepidation that I dug in to this book knowing that some former cohorts of his from The Band have accused him over the years of not giving them proper credit for songwriting. That the book turned out to be one of the better music autobios was a pleasant surprise. I don’t know how to feel about the accusations leveled by long-dead former friends against Robertson, but he seems to go out of his way to explain his side and not duck the issue (but also not belabor it). 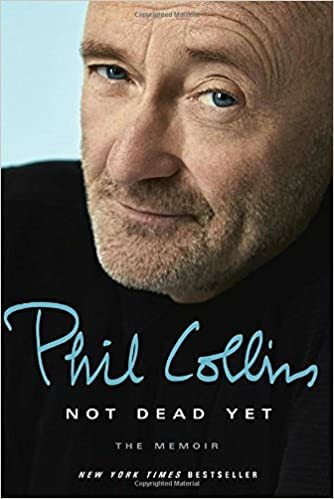 That the book ends with the dissolution of the classic-era version of The Band at The Last Waltz in 1976 is likely fitting, but a bit frustrating as even one chapter about his solo career would have been welcome. 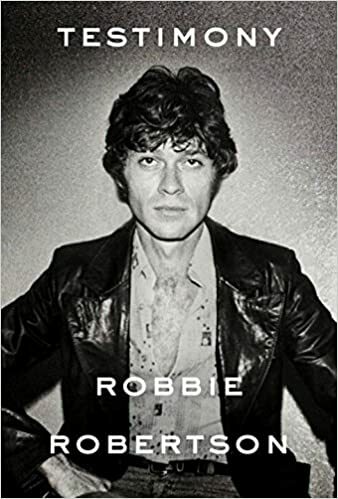 His early times backing Ronnie Hawkins and later Bob Dylan are just as interesting as his 8 years with The Band which helps drive the book through the rough patches like his (alleged) mob relations. As usual, however, I wanted way more about how songs like “The Night They Drove Old Dixie Down” went from germ of an idea to grooves in vinyl. Likely a whole book could be written on just the day to day of recording The Music From Big Pink and The Band. Talk about trepidation, let’s be honest here – you typically want to read about the main singer/songwriter in an act – not “…and so-and-so”. That meant Daryl Hall as opposed to John Oates. That being said, with apologies to Mr. Oates this turned out to be a pretty entertaining read. Once again, however, here is a risk taker who tells stories aboutsimply heading to England with little money or sleeping in some abandoned structure on the beach with no real means of support – very different than my life and hard to identify with. The history of Daryl Hall & John Oates’ records is here, but much of the detail is about the early part of their career where they were more equal partners. As Hall took over more of the hit songwriting, Oates became more famous for facial hair and there is less in the book about the history of those songs (but at least some mention of the mustache). Oates, to his credit, says up front that this is not a Daryl Hall history and will leave that side of the act to him if he wishes to tell it. This is one of the few books that also includes a CD of music – pleasant albeit solo John Oates as opposed to hit Hall & Oates. Going in to a book like this you realize that it will be wordy but that those words should be well-chosen based on the style of the author’s lyrical content. Mr. Springsteen has dug into his psyche including his need for analysis while at least explaining how his career came to be. For that it takes alot of words and this is a long read (but good if you like the subject). As an admirer of his band even more than much of his music, I wanted to read everything I could about the E-Streeters past and present. Since he has to work with these folks you assume, however, that he can’t say all he has felt about his band-mates over the years. Here is a guy who from a young age seemingly didn’t have a problem moving in and out of a comfortable existence which shows up in his songs certainly. Those that hang on his early “New Jersey-ness” will certainly hang on those parts of his life story more than someone like me who frankly likes his newer stuff much better (reflecting a more stable life?). 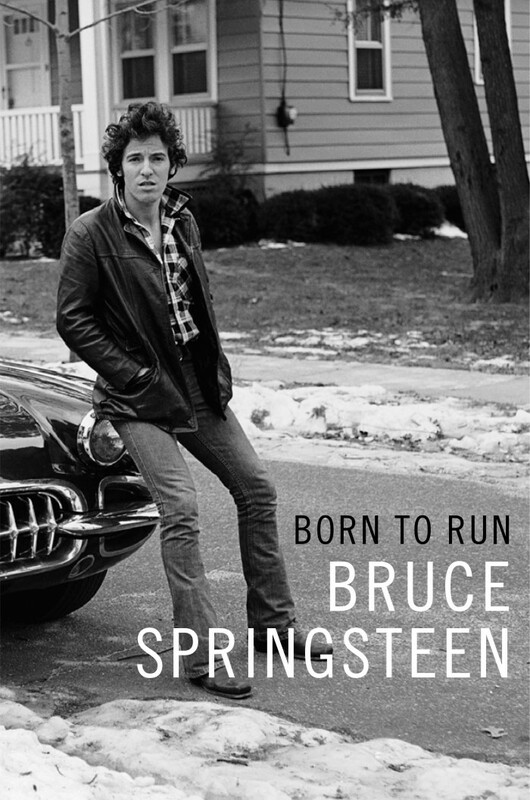 Mr. Springsteen has never been one to use 3 words in a lyric when 30 tells more of the story and so I actually would like to see him put out a book that talks about every song he has written plus their creation and meaning. One of the book’s criticism’s I’ve seen leveled is his political stance, but that is the man – take him or not. I frankly don’t believe that one has to agree politically with someone to enjoy their music and to see their slant on life. It seems that we as a people (in the U.S.) are suffering from a crisis of intolerance (this from a middle of the roader). I hope we can get over it, but I fear it is tearing us apart as a nation. Up front I admit to being a huge progressive-era Genesis fan that lost interest as the band became more pop and famous. I am far less of a Phil Collins solo artist fan as well. Keeping that in mind, it’s a decent read that shows an artist’s dive into alcoholism as his relationships tanked (which helped to create alot of his music, interestingly). My biggest gripe with the book is that it needed to come with a slang U.K. English translation dictionary as he throws in a bunch of references and descriptive phrases that meant nothing to me as an American. Somehow it felt like he was holding back alot of his feelings – especially about fellow musicians who he might still work with again so perhaps if he is still “not dead yet” in another 10-15 years he might write a sequel and dish the real dirt. That he felt a need in the book to apologize for being ubiquitous and successful for a time is too bad. Being good wasn’t a crime – not putting out a new Genesis album with mellotron, however, is a (Nursery) Cryme – come on Phil and get the guys back together – and don’t forget Steve Hackett! That these two books came out a month apart from each other is certainly no coincidence. You are left as a Beach Boys fan to juxtapose the two stories as told by one man who keeps the band going along with much animus and another told by a tortured genius recovering from mental issues. I admit my bias, but I have always seen Mike Love as the villain of the band – quick with a lawsuit and overly defensive while Brian Wilson always seems the victim who is afraid to stand up to the bully. True picture or not, I tend to root for the underdog and hope the front-runner fails. On dint of a pure reading experience, however, Love wins over Wilson as the former’s book is generally clear and fairly candid while the latter’s jumps all over the place and seems to reflect some schizophrenic lack of focus. At least you can tell Wilson wrote this book as opposed to his first dubious attempt in 1991 at a life story under the aegis of Eugene Landy (Wouldn’t It Be Nice: My Own Story). 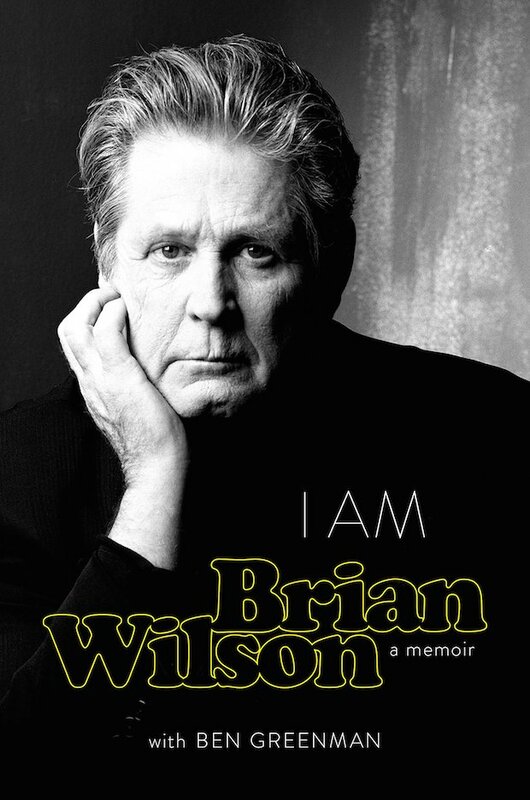 Wilson comes across as a needy childlike figure who at least can be seen as a success story – one who I could never have imagined leading concert tours in his 70s when viewed some 40 years ago. Love seems an assured controller, but at least he is smart enough to realize it and tries to get you on his side with tales such as trying to deal with Wilson’s current wife which may or may not have helped put an end to the happy 50th anniversary reunion tour. As painful as it is to say, the Love book is the better read as a life story. Perhaps a study of the musical history of the Beach Boys is best left to some future dispassionate outside biographer. This might be the most non-musical book about a music star in this whole list. It is frankly amazing to read how old she was before she took up a guitar in anger and started a band seemingly on a whim (most music stars talk about getting their first guitar as kids and wanting to be Elvis or whatever – not her). The title is non-factual as the actual part of the book devoted to the Pretenders is fairly short with little if any discussion about their songs and how they were created. Three quarters of the book was about an aimless life that turned out well strictly by luck it appears. Maybe she is planning on writing a second book about her career in music? Her links to the burgeoning U.K. punk scene might interest fans of that music otherwise skip this one. I found her thoroughly unlikable as a person. Which finally brings us to this piece of pathetic tripe. It is simply the worst autobiography I have ever read. Self-aggrandizing, ego-centric, worthless swill – you take your pick. Perhaps Mr. Nesmith assumes we already know about the Monkees and his relationship with them plus their music… who knows – which is a pity as I give him alot of credit for the start of country-rock as a popular music form. 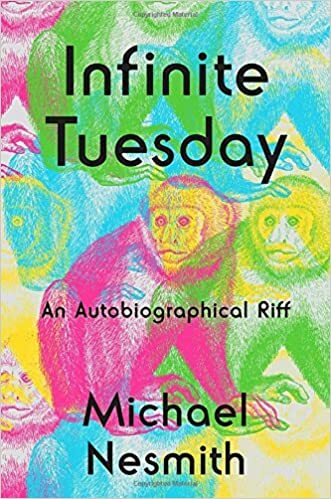 You would never know that he did anything of note based on his writing in this book except he takes credit for inventing MTV – even though music videos (notably by the Beatles and even Rick Nelson) existed long before his Elephant Parts video program which admittedly was at least ahead of it’s time. The fact that he was in the Monkees is the only reason most would care about him, yet he offers very little about his time in the band and nothing about their reunions over the years. His own music doesn’t fare much better as I saw nothing in the book about the creation of the fun song and video “Cruisin'” (Lucy & Ramona & Sunset Sam go to Venice Beach, if you recall). Even his family gets shorted – his mother invented liquid paper which is actually interesting, yet he has little to say about it – I would love to know how she invented it, etc. Oh, but he has plenty to say when it comes to preaching his own brand of philosophy and hanging with Jack Nicholson. Spare me – maybe Peter Tork will give us some real insights some day.